Many would think that spending so much money on a watch is wasteful but a true watch aficionado knows that it is an investment. Made from precious metals and gems, watches have a value that grows and declines based on a few factors. Despite any factors that cause a fluctuation of price, your watch will always be worth a fair amount. That is why watches are a great piece to invest in. Here is a guide to purchasing the right watch. What makes certain watches collectible over others? That is based on the brand of watch, if it is rare or limited edition, and the style that is currently in fashion. The brand of watch can be a major factor in placing a value on a watch. Brands like Rolex and Patek Phillipe are two of the most well-known watches that will also increase in value. 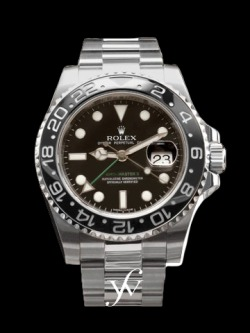 Rolex comes with the name recognition due to it being a favored celebrity brand along with having a great design. Patek Phillipe also has name recognition to an extent but it is more exclusive than Rolex because of its prices. Rare and limited edition watches increase in value, again, because of exclusivity. Limited edition and rare watches means that there are a small amount available to the public which makes them more appealing to collectors. It is simple supply and demand. Do not confuse collectible with limited editions and rare watches. Sometimes a watch toted as collectible is not wanted by the public due to design which only a few people may want. Trends influence every market out there, especially the fashion market. One year may call for watch with thicker bands and the next, thinner bands are all the rage. Be conscious of this when selling as it might be a better strategy to hold onto your watch for another year as the trend might turn back in your favor. If you are looking to invest in style but have additional questions or do not know where to start, Finest Watches can help. We are fine watch experts who carry an assortment of high-quality time pieces. For more information, contact us at (888)313-8463.